OCast azeyte, Ar. záit, zayt, Eng. olive oil. It was brought to Spain from Greece by the Phoenicians around 1050 BC. The Romans made an industry out of exporting olive oil but after the fall of Rome the productions decreased greatly throughout Spain until the Arab conquest in 711. After that time it became so popular on the Iberian Peninsula that there were more olive trees than olive groves. Olive oil was burned in lamps of Arabs and Jews who customarily used it in mosque and synagogue lamps respectively. In Medieval cookery, oil was thought to be nutritional and a means of communicating with the fire in the hearth. In Spain, Arabs and Jews used oil in cooking due to the prohibition of pork products. Christians tended to use lard, except during Lent and on fish days, like the English, unless living in the south where olive trees were abundant. Like the English, Spaniards living in Leon and other northern regions had to import olive oil. The Leonese brought it from Zamora, see aceite de Zamora. Olive oil was flavor for everything in cookery. Oil was used also to preserve foods. The olive tree always was conceived as the founder of a divine dream based on green olives, the bearers of the brilliant light liquid pressed out of them. 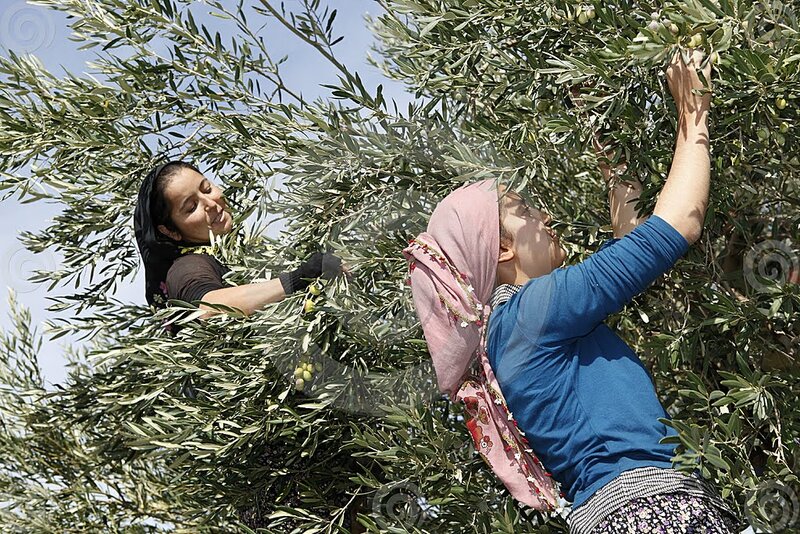 The method for pressing olives is more than 5,000 years old using the olives including the pits. Spain inherited the system from the Greeks and Romans but the Arabs substituted the Roman double stone mill for the screw press. The Arabs called pressed olive oil zayt-al-badd. According to the different pressings, various qualities of oil were obtained; the so-called “water” is virgin or sweet, golden green (or Zayt al ma) produced during the first pressing. The second pressing produces a combination of virgin and refined oil, while refined or commercial oil is obtained from the third pressing. The fourth pressing, lampante, is the repressing of residual pulp with hot water. The fifth pressing results in extracting sulfide and the production of extra refined oil. A high grade oil was reserved for soap making. Aceite cocida (Zayt al-matbukh), boiled olive oil, was another system for obtaining this product but it was of inferior quality . Oil extracted by the ‘cold press’ method, in order to preserve the active ingredients, is set aside for medicine. Low quality oil remaining after the process was thrown away and run from the press in open channels. People took freely this "perchín" or "perchines" for their oil lamps or to make soap still in the 30's-40's in Andalusia. This story I owe to my father, who was born in a village in province of Jaén, the major producer of olive oil in Spain.